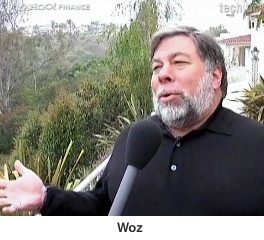 “Microsoft’s new search engine Bing was unveiled Thursday and can already boast about a rousing endorsement from an unexpected source: Apple co-founder Steve Wozniak. ‘That was the most astounding software demo I’ve every seen,’ Wozniak tells Tech Ticker after seeing Microsoft CEO Steve Ballmer unveiled Bing at the All Things Digital Conference here,” Aaron Task reports for Yahoo! Finance.